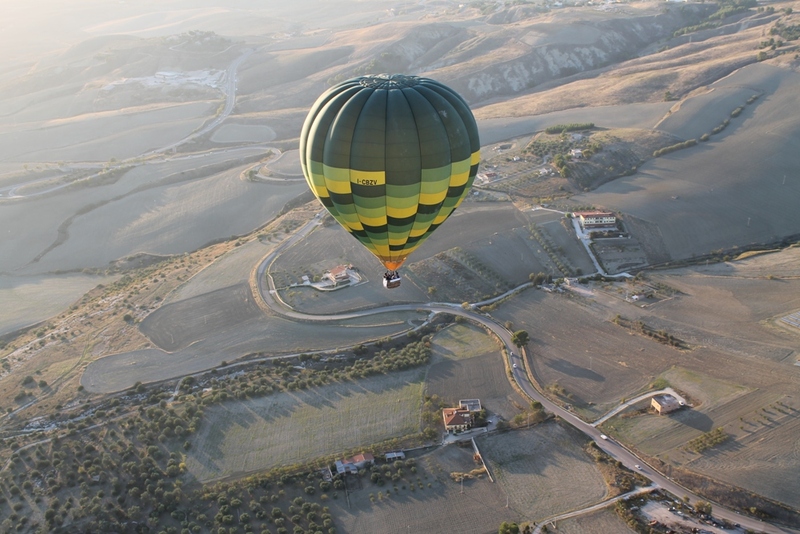 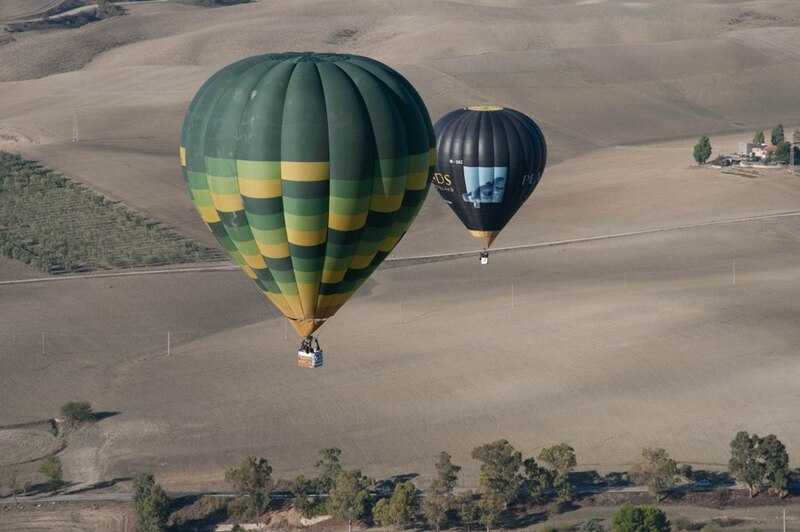 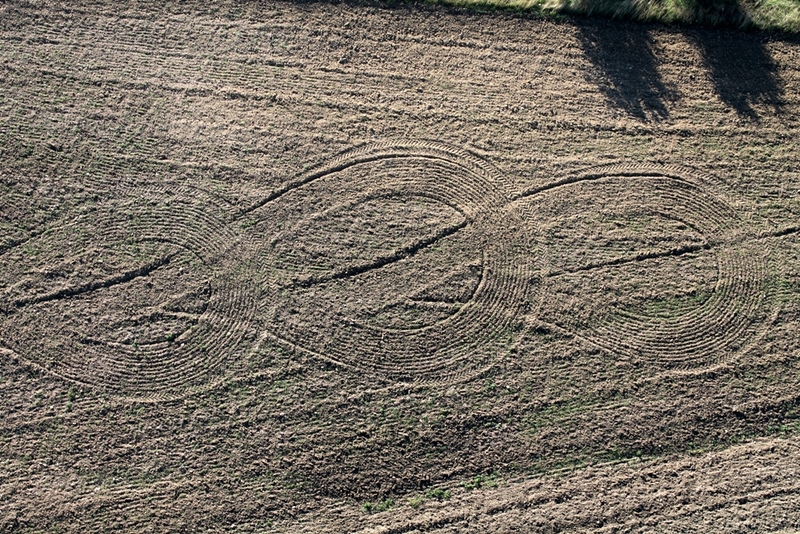 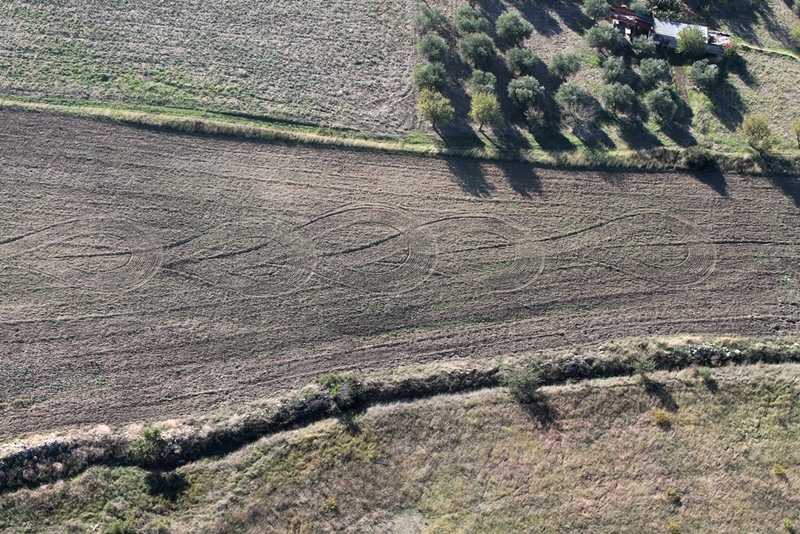 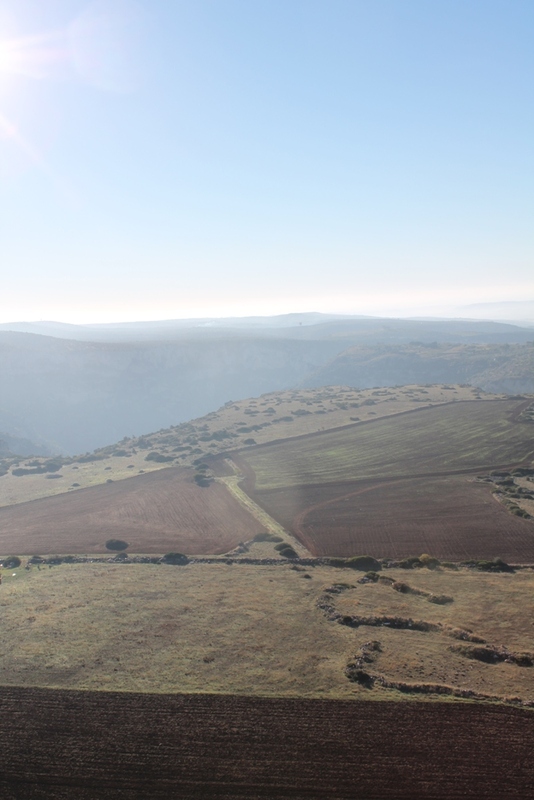 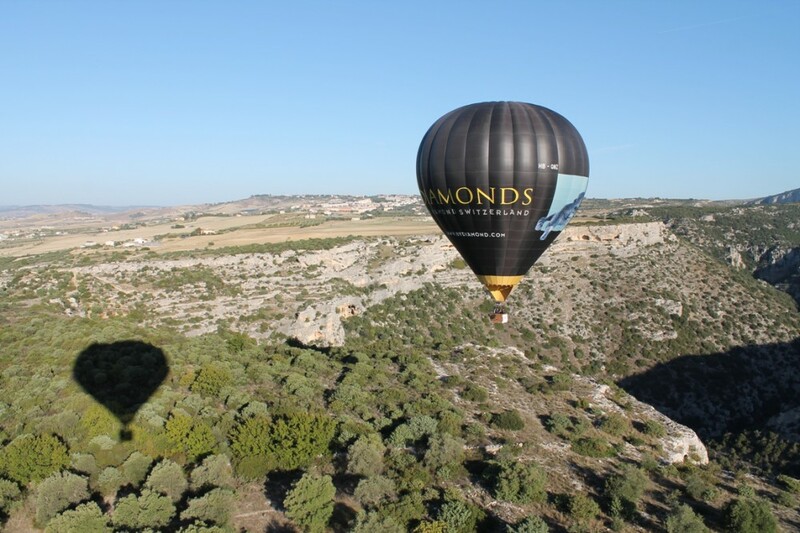 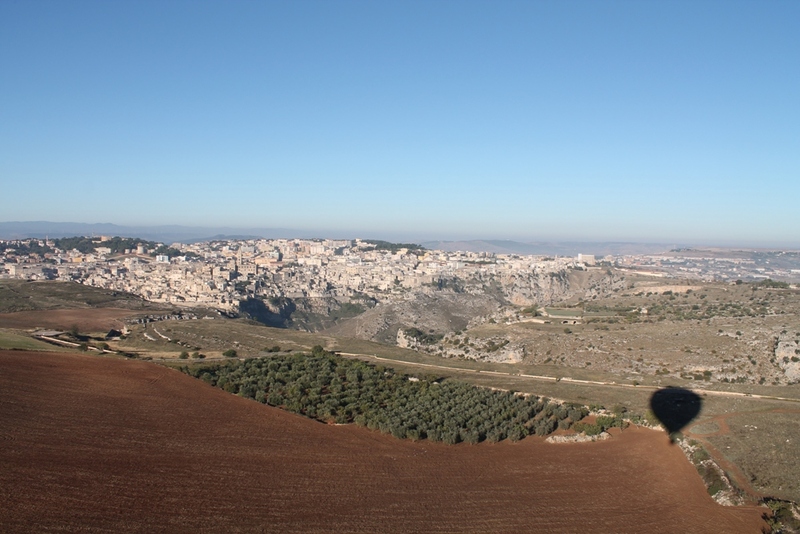 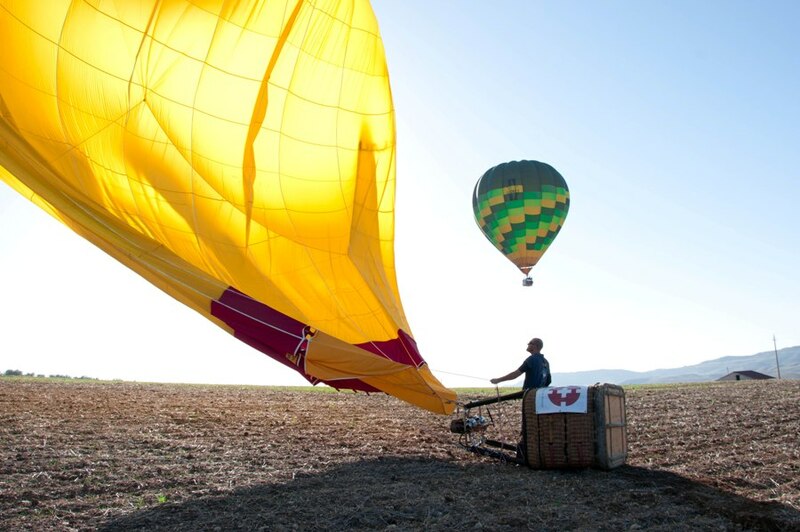 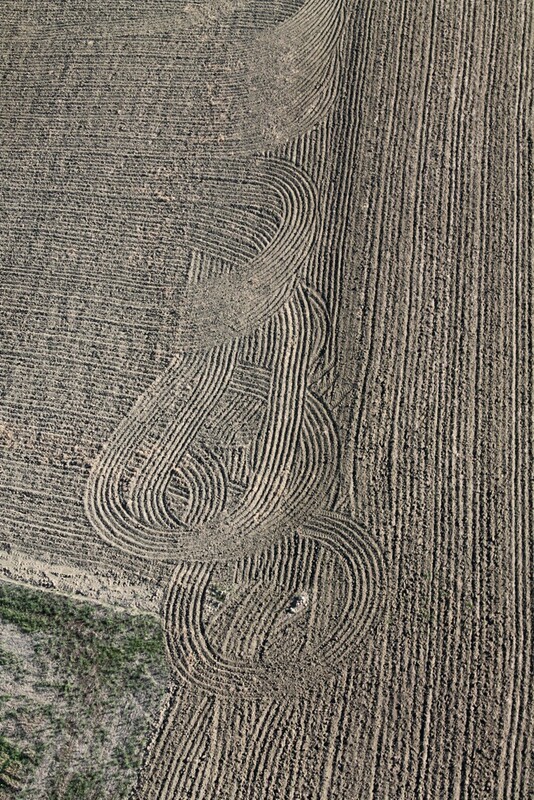 Last autumn we were invited to fly our balloons in Matera. 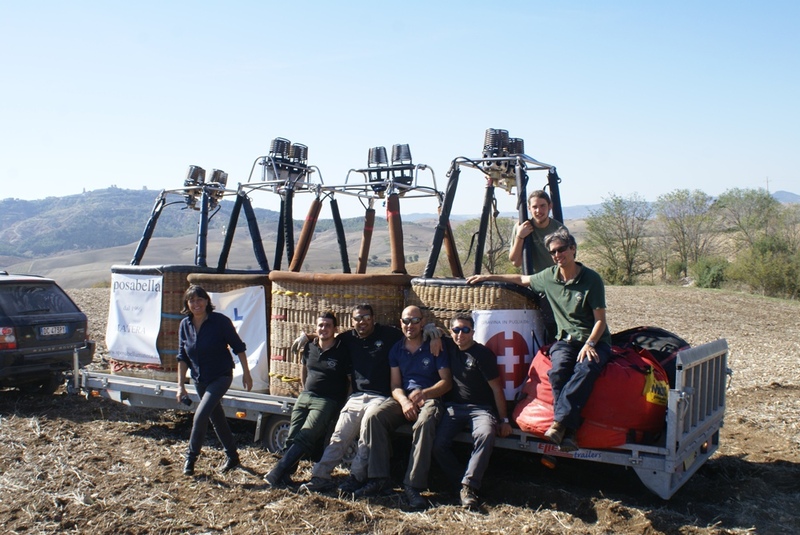 It was a long voyage driving all the way to the southern region of Basilicata with our big trailers full of ballooning gear. 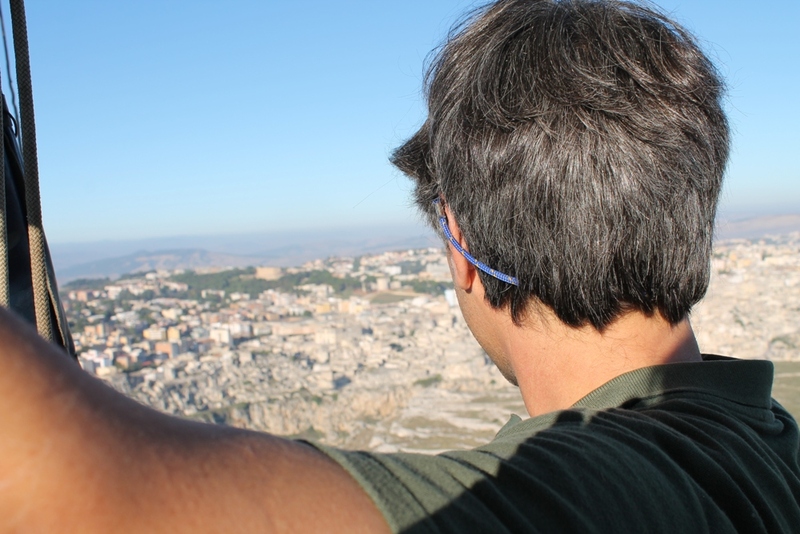 It was well worth the effort though, The Sassi di Matera are a Unesco heritage site! 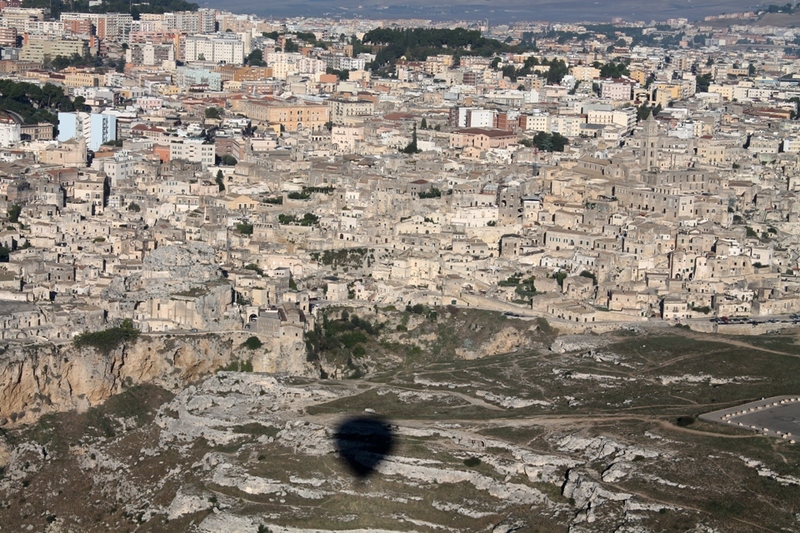 Matera is said to be one of the world’s oldest towns, it is the most outstanding, intact example of a troglodyte settlement in the Mediterranean region, perfectly adapted to its terrain and ecosystem. 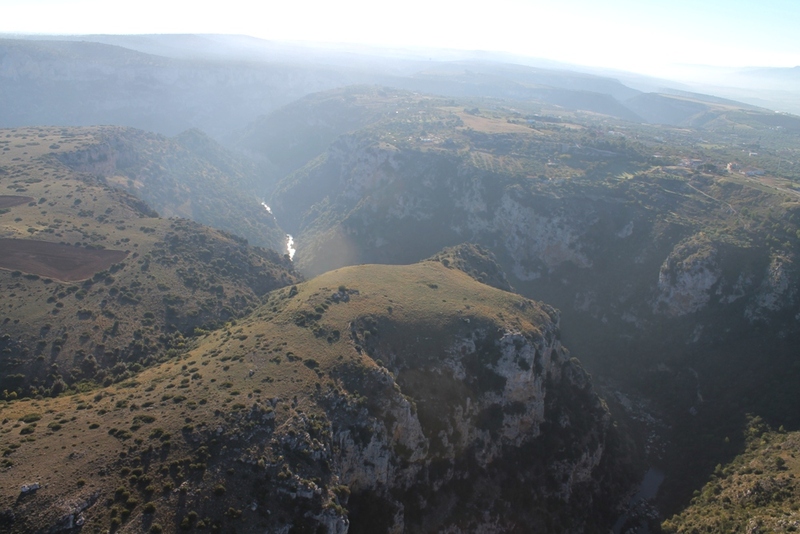 The first inhabited zone dates from the Palaeolithic, while later settlements show a number of significant stages in human history. 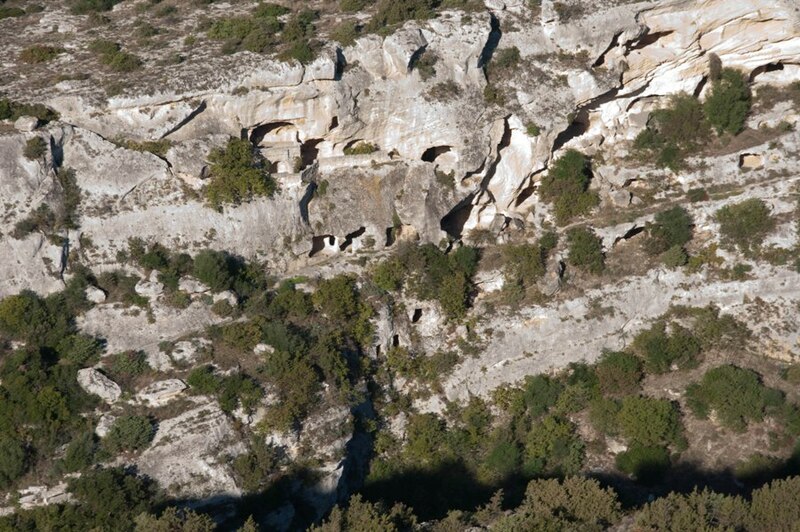 The caves that dotted the gorge were carved and adapted to become prehistoric homes, the Sassi. 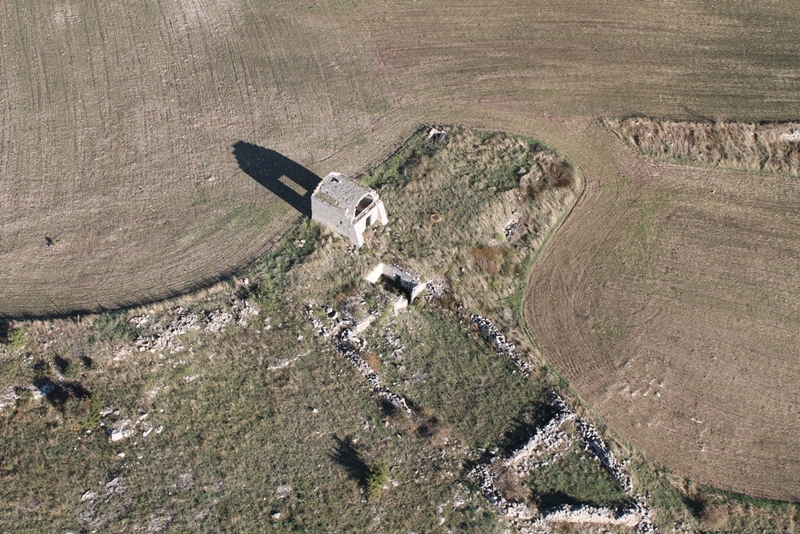 In time, an ingenious system of canals regulated the flow of water and sewage. 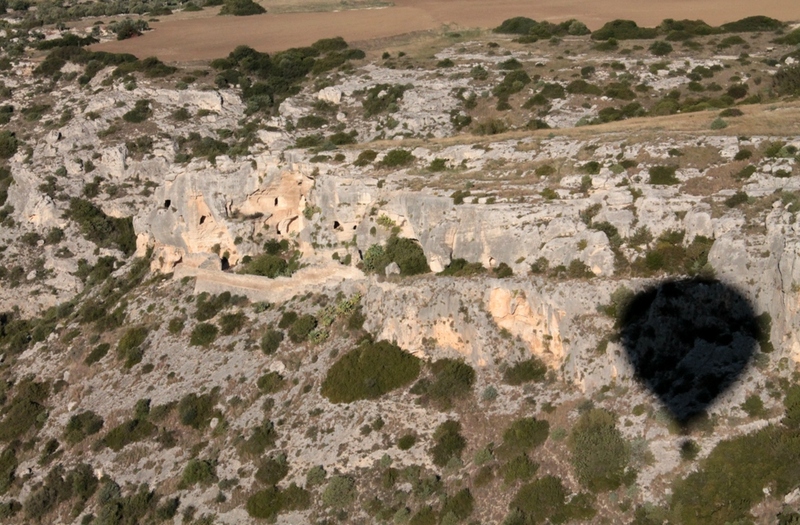 The ravine close to the old part of the town is known to the locals as La Gravina. 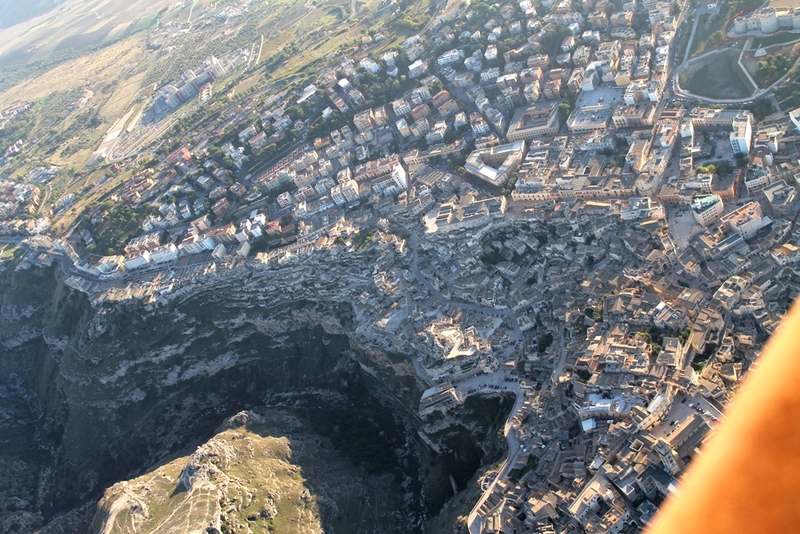 Only in the 19th and 20th century the old original urban fabric degenerated to the point where Matera “Magnificent and splendid” was seen by Carlo Levi in his famous novel Cristo si è fermato ad Eboli (Christ stopped at Eboli) in 1945, as the symbol of the misery of peasant. 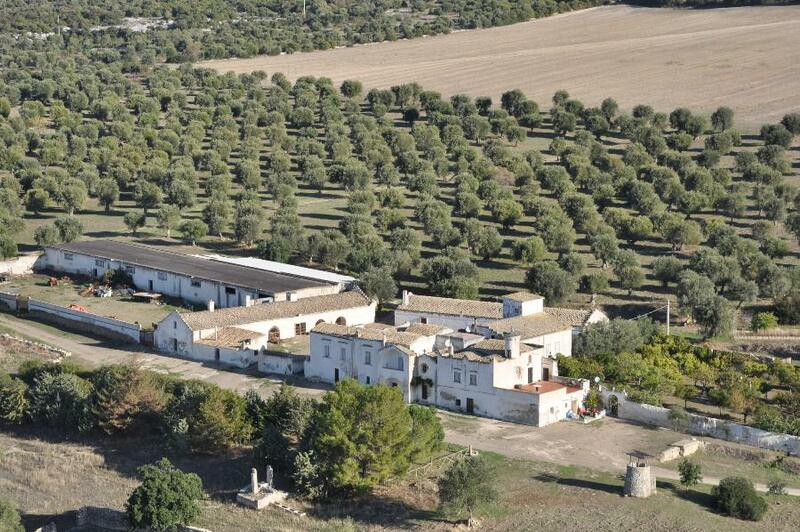 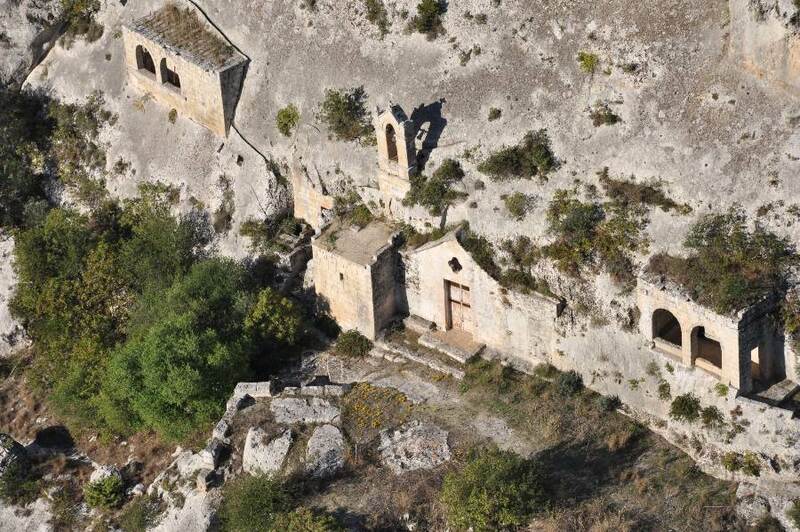 As a result of the Italian Government’s concern about this situation, legislation passed in 1952 led to the rehousing of the dwellers of the old quarters in new buildings and the desertion of the ancient centre in the 1950’s. 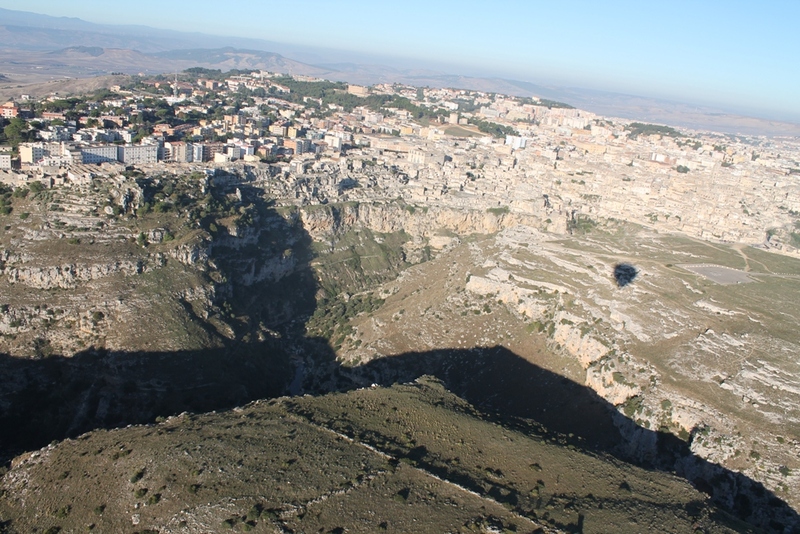 The town and the Sassi have gained recognition and popularity Ironically also due to it’s history of outrageous misery, transforming it into Basilicata’s leading tourist attraction. 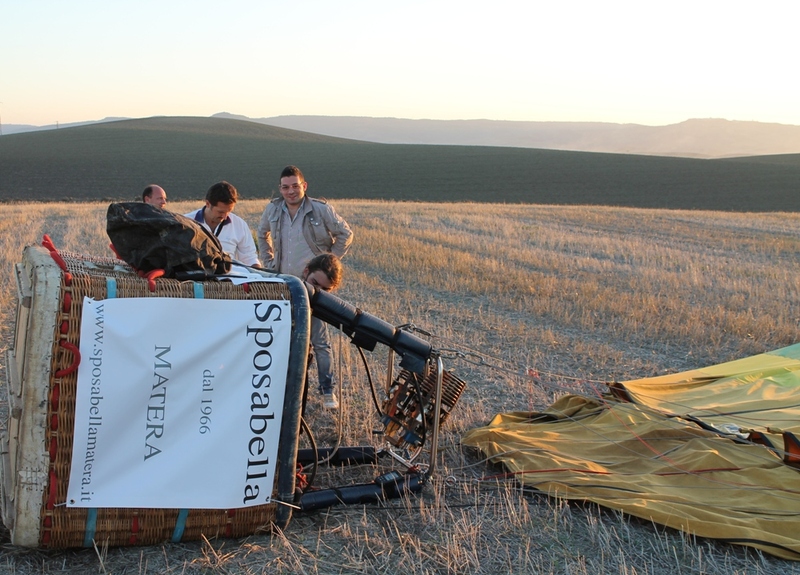 Our balloon team was met with great hospitality, the food was a cultural event! 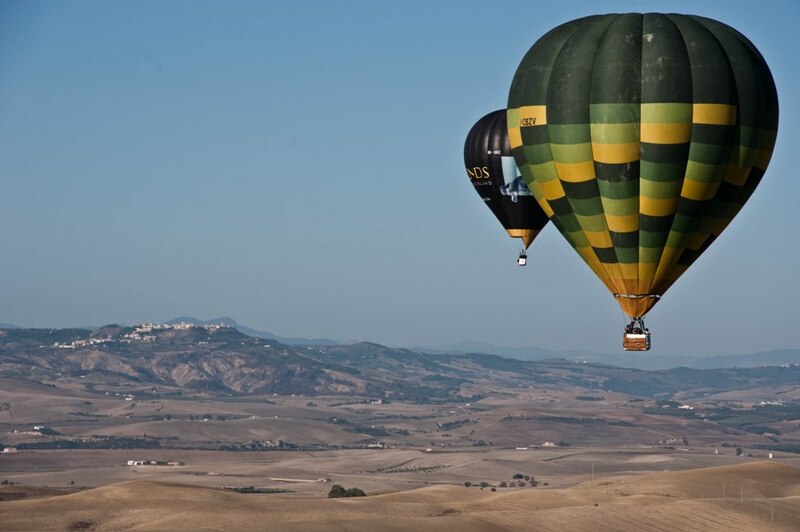 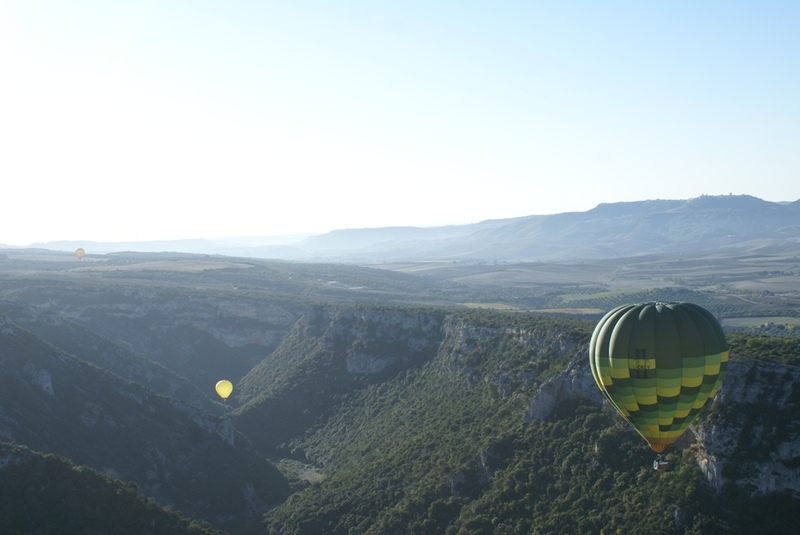 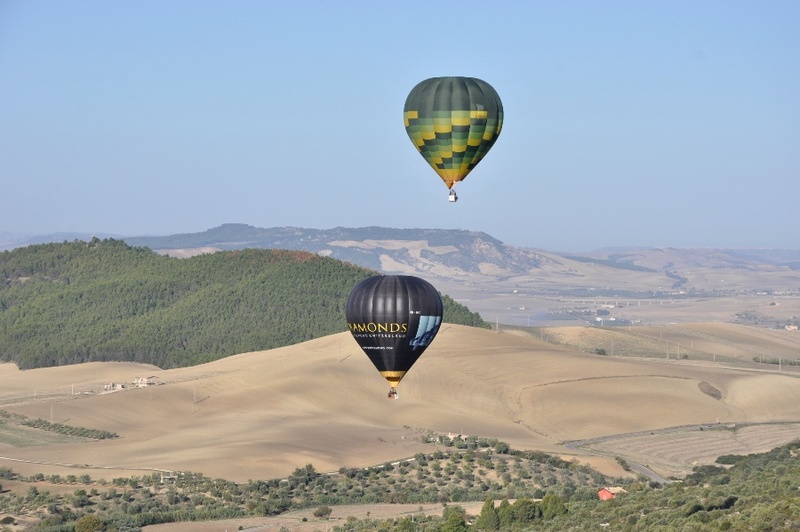 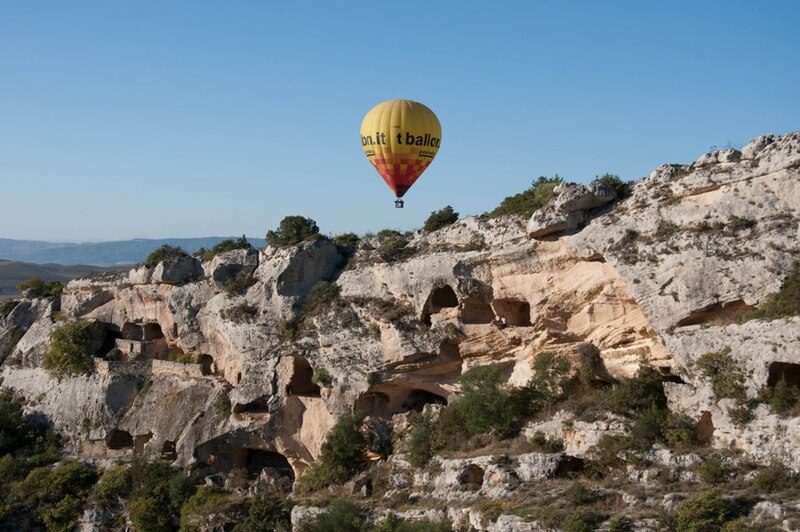 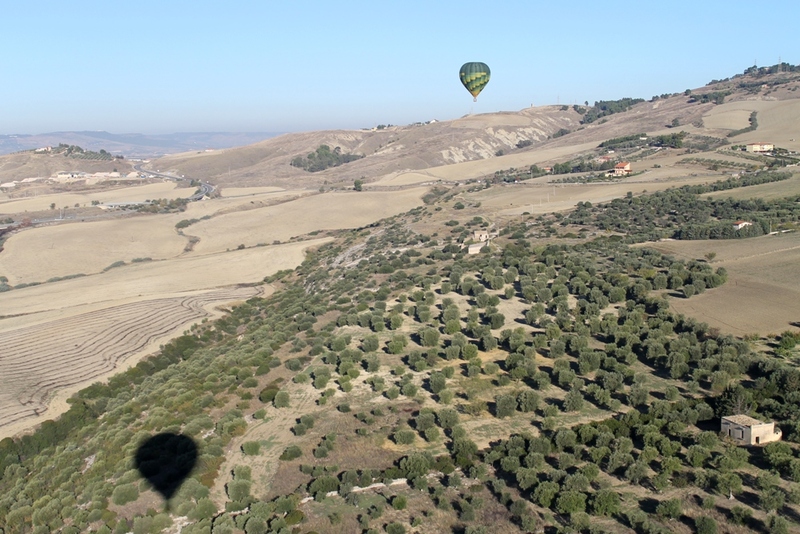 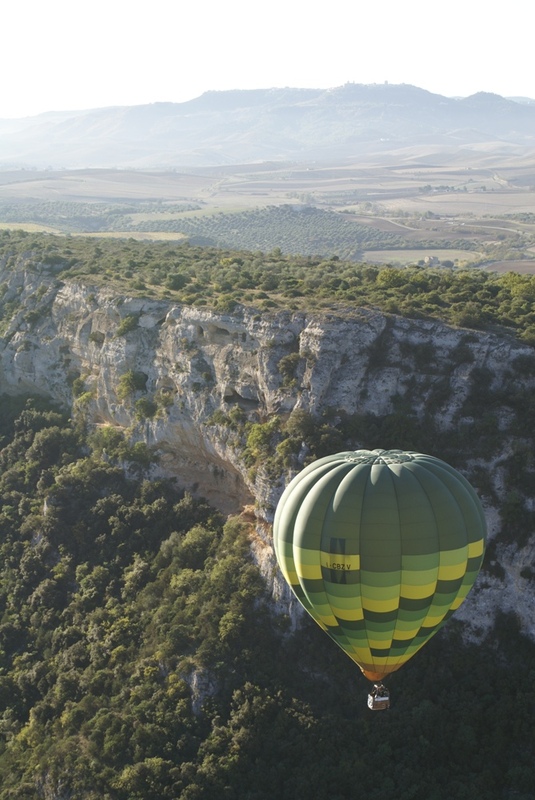 The balloon flights along the palaeolithic caves, over the Sassi and the Gravina, passing over the Saracen village and rupestrian churches were breathtaking !! 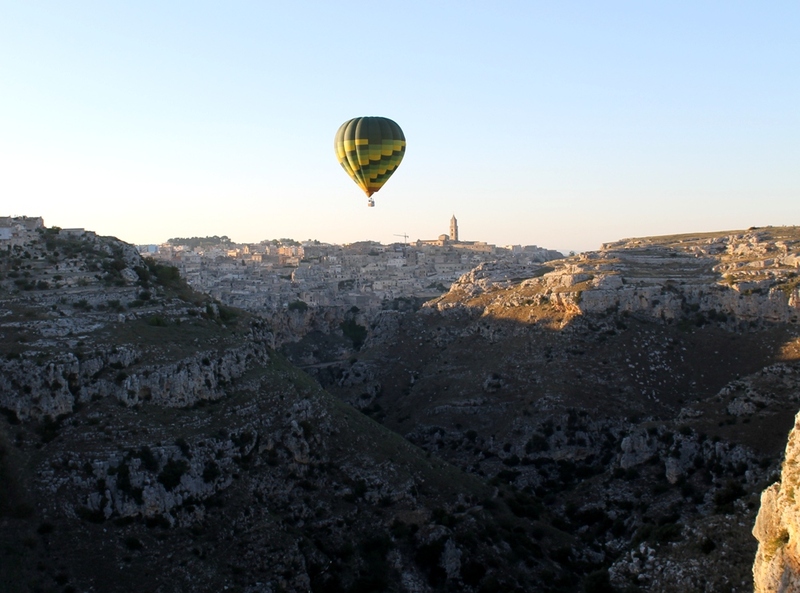 Hope to be back for the Matera Balloon Festival 2013!